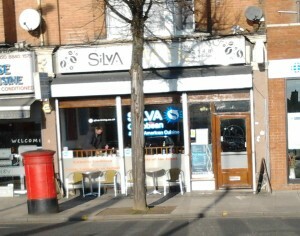 If there’s anything in West Ealing you want to talk to us about or ask us you’re very welcome to come and have a coffee with some of the commitee members this Saturday morning at Silva Cafe on the Uxbridge Road opposite Kwik Fit. We’ll be there from 11.30-12.30. There’s a lot of ideas buzzing about on how to make the high street better and many of us are very worried about plans to shut the A&E dept at Ealing Hospital and what that means for us all. We’d love to hear your views and ideas on these and anything else about what’s happening in West Ealing. And don’t forget, you can get your Christmas shopping off to a great start at the first of our Christmas craft markets in St James Ave on Saturday morning accompanied by some top class live music from 12 noon. See here for the details of the music. 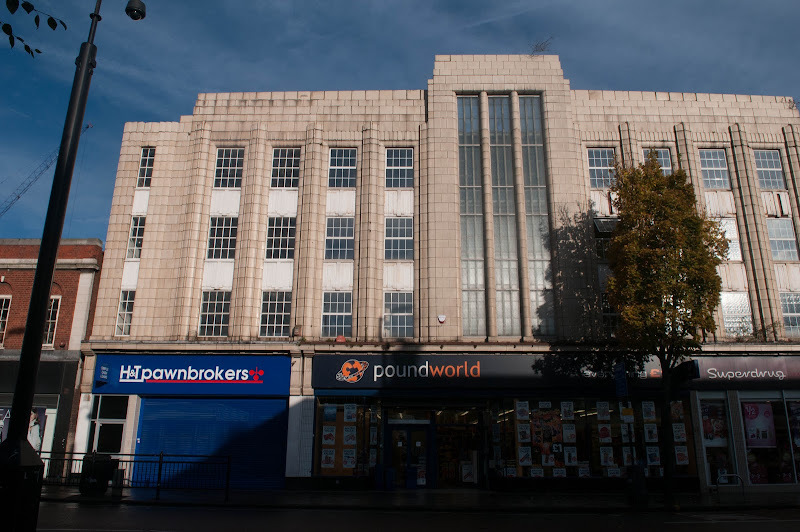 The old Woolworths building is a great local example of art deco but it’s getting in a sorry state. There appears to be a tree growing out of its roof and some of the façade is beginning to look unsafe. Is anyone interested in joining us to try to get this building looked after properly? If so, email us at westealingneighbours@gmail.com or join us at our next Saturday morning coffee at Silva Café (opposite Kwik Fit) from 11.30 – 12.30 on Saturday 1st December. More photos of this lovely building are in the gallery on our website. The less desirable W13 or an undervalued pocket? It’s always interesting to read about how others view the area you live in and that’s the case with this week’s Evening Standard review of property in Ealing. The article is mostly about the W5 postcode but W13 gets a mention or two. It is seen as less desirable than W13 though I might be living in an ‘undervalued pocket’ on the Hanwell borders – not sure about that! Anyway, worth 5 minutes if you’re interested in property prices and how Ealing is seen by others. It’s local, it’s outdoors and it’s live – that’s music in the craft market in West Ealing on every Saturday in December. This community experience comes free – with 20+ stalls of goodies on sale from local craftspeople in the open space just next to Blockbusters in West Ealing Broadway. 12-1pm: Harmonica Lewinsky performs music hall, TV theme tunes and cockney rock to audiences as far away as Sainsbury’s and Tesco Extra in Hanwell. He is CRB checked and gives 10% of his income to British Gas. No animals have suffered in the making of his music, although several humans have ended up in Ealing Hospital A&E. 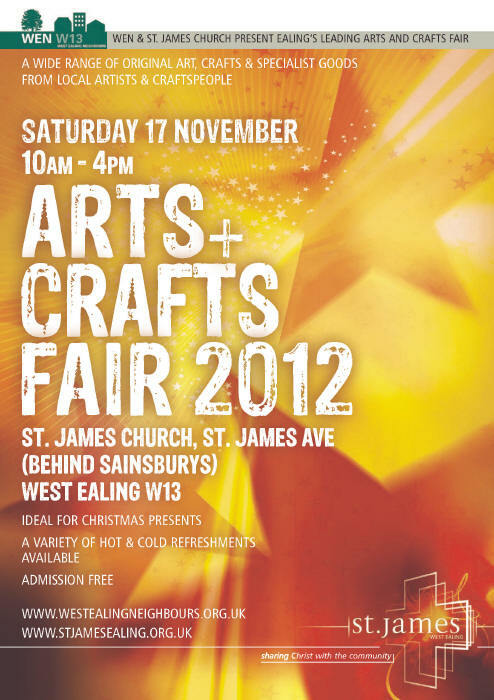 1-2pm: Questors Choir Hi – we’re Questors Choir – we’ll be singing carols at the Craft Fair on Saturday. Our aim is to help the event go with a swing, and bring a smile to the faces of shoppers and stall holders alike. We’re a mixed voice ensemble and we’ve been singing in Ealing for over 25 years. If you like what you hear, why not come to our concert next Saturday? It’s on the 8th December at St John’s, Mattock Lane. Musical director Philip Norman has put together a mix of traditional carols, with plenty of opportunities for audience participation, plus some Christmas choral pieces by Handel, St Saens and Eybler, and a few all-time Christmas hits too. If you enjoy singing, Questors Choir welcomes singers of all abilities. We have a good blend of experienced singers and newcomers who’ve only just started with the choir. Our repertoire is deliberately varied, from Baroque and Classical to Contemporary choral works, and folk songs. All of us share one passion – a love of choral music performed in a fun and friendly atmosphere. Visit www.questorschoir.org.uk . 2-3pm: Jacob & Goliath A West London-based folk/alternative band. “Like James’s Tim Booth, Jacob Simpson (lead singer of J&G) possesses a rare and subtle ability to mine deep soulfulness from rough scraps of emotion,’ writes music critic Jon Wilde. “The yearning quality in his voice is both bold clarion call and whispered confession. Jacob & Goliath inhabit a sonic landscape that is equal parts earthy folkiness and propulsive pop”. The good news is this happens every Saturday in December – a new show, more crafts, more community. So, don’t go to Westfield – stroll up the road! For December 8th, local charity Tangled Web join with Beavers and Scouts for some rousing carols, Pinnacle Performing Arts will be dancing to cheer our wintry spirits and Singology choir serve us a slice of gospel joy. For December 15th, watch out for the Westside performers from the local youth club, a barbershop quartet (who will start by flashmobbing Sylvester’s the local barbers – grow your hair and drop in about 12.15), followed by ancient carols with local voices and instruments, and a nativity from St James’s which will involve a live quadruped (we can say no more but bring a shovel). Are our streets getting cleaner? Are the rubbish collections getting better? If there’s one issue that gets most of us steamed up, along with parking problems, it’s dirty streets. The Council changed contractors in April and most of us remember all the teething problems over missed rubbish collections. Tomorrow night (Thursday 15th) the Council is reviewing how Enterprise is performing. Do you think they are getting better after a very shaky start? My own view is that the rubbish and recycling collections have improved and round us are pretty reasonable now. What is not yet back up to the previous contractor’s standard is sweeping the side streets. In West Ealing the busy areas get swept regularly but the side streets are hit and miss and some appear to be swept hours before the weekly rubbish collections. One of my bugbears is rubbish getting dumped by Council bins and then getting strewn across the place by birds and animals. 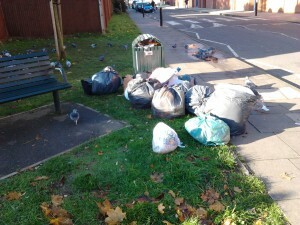 This isn’t the Council’s fault at all and it gets cleaned away every day but it does make the place look uncared for. Admission is free. Hot & cold food and drinks served including a wide variety of home-made cakes. St James Church, St James Ave (by entrance to Sainsbury’s car park). 10am – 4pm. Most of Ealing’s Healthcare Services Will be Managed by NHS General Practitioners: Just How is this Going to Work? In six months’ time, a committee dominated by Ealing General Practioner (GP) doctors in the maelstrom of the expiring Ealing Primary Care Trust (PCT) will be running much of Ealing’s NHS healthcare provision. Any qualified provider can bid to provide these services. Allegedly at least three Ealing community health services were required to be handed over to any qualified provider in September 2012. I have yet to discover which services they were. I have been unable to discover just how these the ECCG doctors intend to organise themselves individually or collectively to ‘provide’ the healthcare services listed above. No doubt with just a few months to go their plans will be well advanced. I have attended two recent public meetings (26 September and 11 October) at which the ECCG Chair was billed to speak and answer questions on this topic, but she failed to show up at either meeting. What has Dr Mohini Parmar got to hide? We are led to believe that as many as 55,500 residents throughout NW London have expressed doubts in writing about a radical restructuring of NHS services and facilities throughout the region. However in Ealing we have not been consulted or even informed on how our GPs intend to manage the delivery of healthcare to us in just 6 months’ time. Will it be outsourced – like the still floundering CircleHealth-managed Hinchinbrook Hospital– to a private contractor or contractors? If it will, who is the company or companies? To whom will this company/companies be accountable? Do the private companies lined up or signed up for this outsourced management work include Serco, Virgin Healthcare, Circle Health, Spire, General Healthcare Group and BMI Healthcare? Will the CCG engage a private healthcare management company to provide some or all of these healthcare services? Alternatively will GP practices group together and perhaps fund and form (or are forming) new local healthcare administration and management companies? Finally will some GP practices hire in staff and elect to administer and manage their own post PCT operations themselves? After seven years’ medical study and training doctors can become GPs. GP practices are probably run by the lead GP partner/ owner GP with possible administrative support from a GP partner or non-medical administrator. GPs always seem very busy when I consult one. One wonders how GPs will find the time to serve effectively and work with peers to manage the £90 million + annual Ealing healthcare budget. If Ealing CCG were to outsource, for example, its £10 million annual mental health disorders services budget would CCG members have the experience and skills to manage this? It’s unlikely that many Ealing GPs will have any private sector large company procurement experience. For something as important as life and death and good health and poor health, we need to research and evaluate how our local healthcare is to be organised and provided. And as National Insurance payers and the NHS pay masters, we need to be happy with the arrangements we discover. 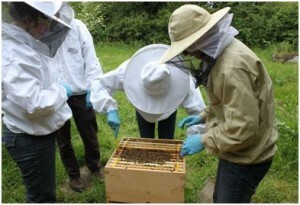 ‘Public Health Ealing’: What is it and How Might it Work by April 2013? Public Health is about helping people to stay healthy and avoid becoming ill, so it includes work on a whole range of policy areas such as immunisation, nutrition, tobacco, drugs recovery, sexual health, pregnancy and children’s health. As part of the restructuring of the NHS, Public Health England is being established as part of the Department of Health. ‘Public Health Ealing’ will be part of this and be operational by April 2013. Jackie Chin is now Director of Public Health at the London Borough of Ealing (LBE). £18 million is apparently the 2013/4 annual spend for Public Health Ealing and LBE has already announced that 50% of it will be spent on sexual health services and drug and alcohol services. Who Will Represent Patients’ and Carers’ Interests in Ealing? + Provide a complaints advocacy service to support people who make a complaint about services. + Report concerns about the quality of healthcare to HealthWatchEnglandwho can then recommend that the Ealing CCG take action.